Another freebie for those who can make it! 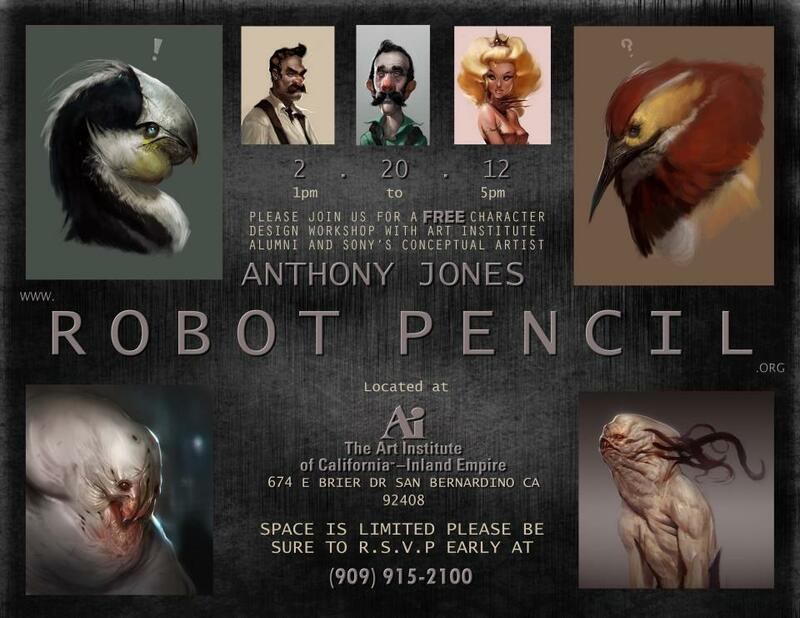 Anthony is currently working at SONY on the concept art team that brought us God of War II and III on an undisclosed project Please come out for a good old fashion workshop---no strings attached! Please be sure to RSVP, it is free and the event will fill up!